I do not want this as his next album, but if he announced it I'd be super excited! haha so idk or care. LOL. But I was bored and decided to make this. I saw a post with a similar image of just infinite wight he newer logo. But i decided to make my own and i decided to make it a sequel. Tell me what you guys think. bro u use a certain font on infinite? DetroitSkills wrote: bro u use a certain font on infinite? 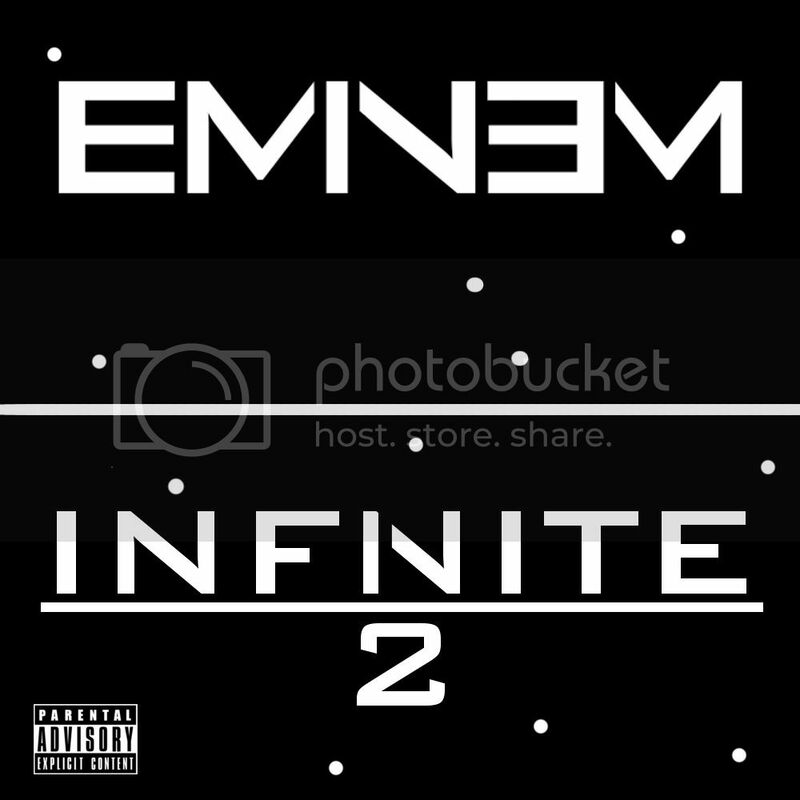 No, the font is bank gothic medium BT, thats the infinite/ slim shady ep font. And then I typed in INFNITE (notice no I) then I erased some of the N and made it an N and a I, making it look like Em's new thing. And to the haters saying "dont do this" it would be cool so stfu, and i said its just for fun dumbass. Of course this wouldn't be good for his next but maybe it would for his Last album.